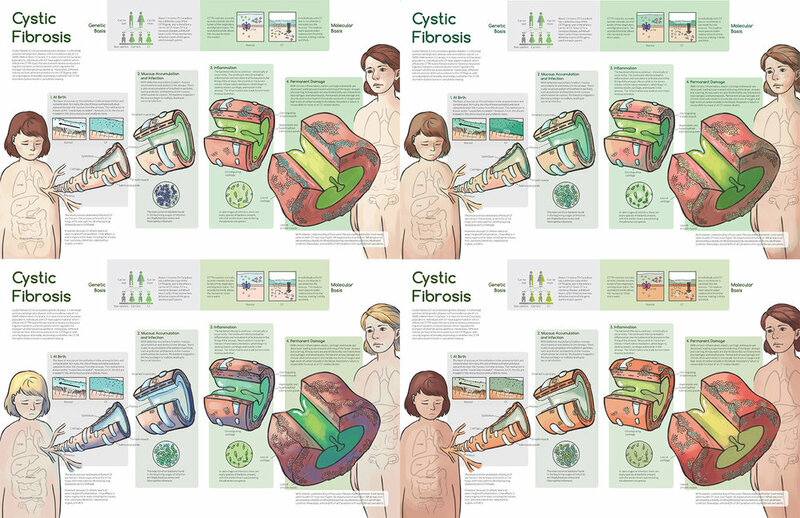 A 2-page spread about cystic fibrosis, including explanations about the cause and progression of the disease. To add a sympathetic human element to the illustration, I decided to integrate portraits of a patient suffering from and surviving the disease into the rest of the didactic piece. 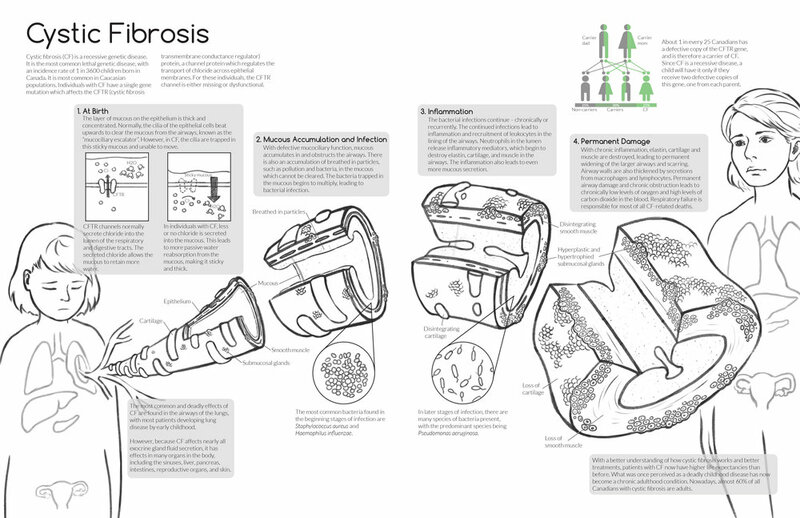 Before beginning detailed research on cystic fibrosis, I wanted to first familiarize myself with the landscape of the bronchus. 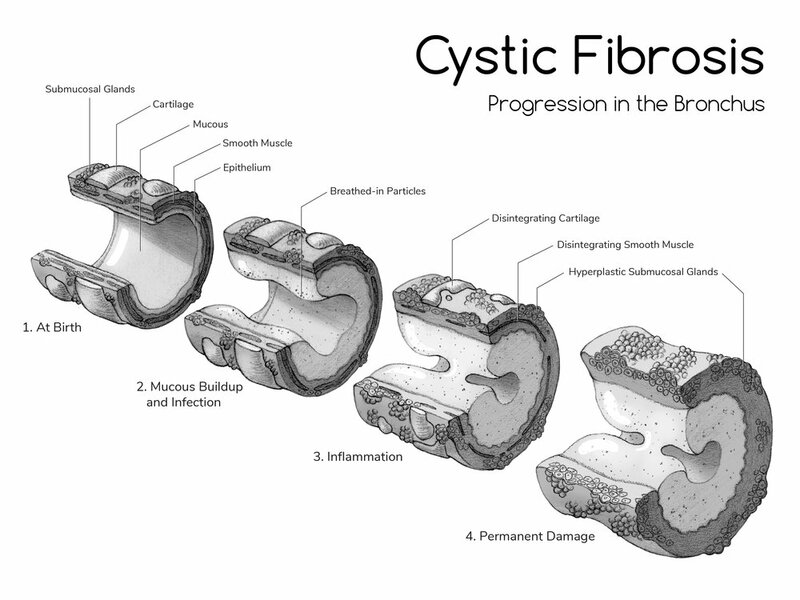 Sketches to figure out how to visually depict the progression of cystic fibrosis at the tissue level. Small, quick sketches to experiment with different layouts for the final illustration. 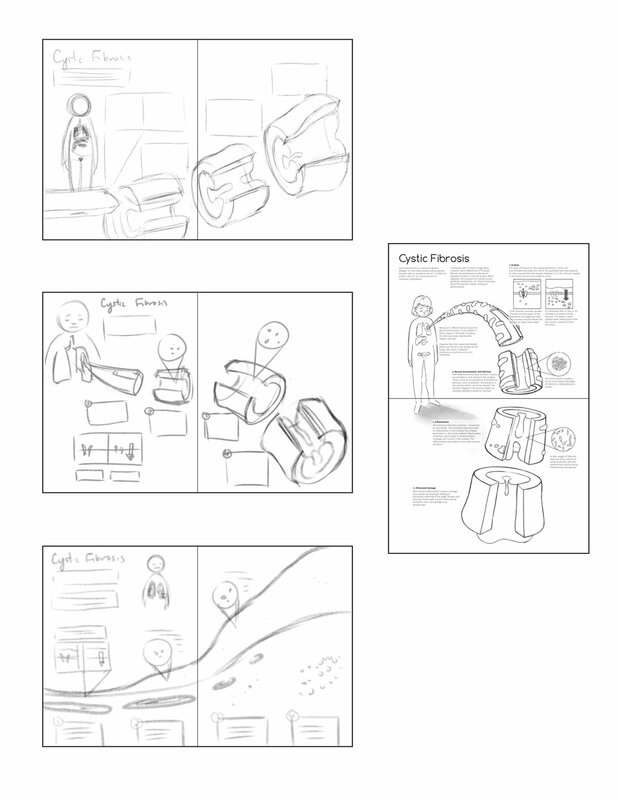 From the thumbnail sketches, I picked the one which seemed to work the best and worked out the details. Since the final illustration is intended as a 2-page magazine spread, I decided that a horizontal format would work better. 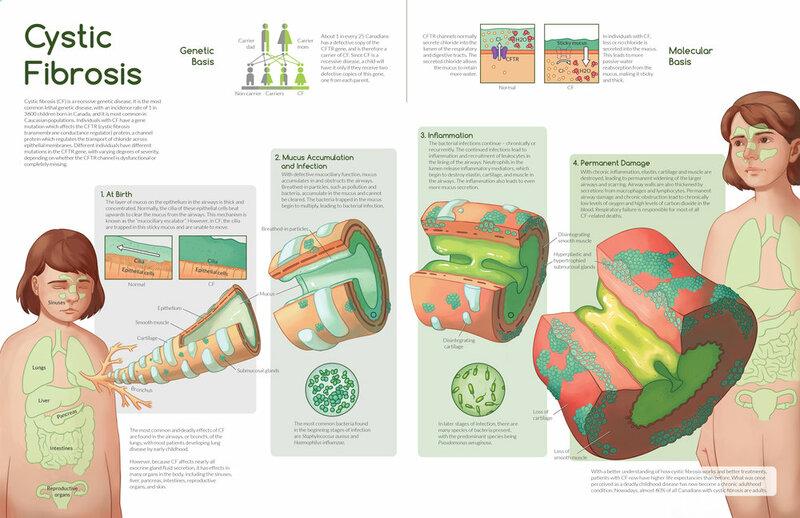 The initial layout was adapted and revised. More revisions were done after receiving feedback to organize the information in a way that made more sense. A few colour mockups done to figure out which would work the best. I tried several different schemes such as complementary, cool, and warm.